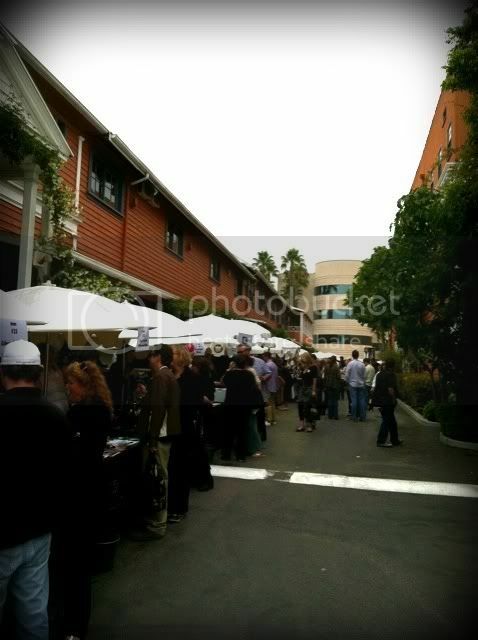 Los Angeles wine tasting events held on movie studio backlots are a common enough occurrence that they don't generate much "gee wow" response from attendees. The tasters at the 2011 LA Wine Fest seemed casual about their surroundings - Raleigh Studios in Hollywood - but they did seem to be enjoying the wines they were tasting. Many wine events I attend are designed for the wine trade and/or media, but I love going to events populated by everyday wine lovers. I enjoy talking to people who don't do a lot of wine tasting as they get a chance to sample grape varieties they aren't familiar with and explore wine producers they may not encounter where they do their wine shopping. There are always the "party-goers" who navigate from table to table, slugging back every sample poured for them like it's a jello shot. I always hope these people have a designated driver in their entourage. Spit buckets were provided at nearly every stop, but they went largely unused at this event. There was one young lady who - either recognizing she would have to limit her intake or displeased with the sample in hand - poured the remainder of her taste into a nearby bush. The tables offering wine were typically crowded, as were the sites where a morsel of food could be sampled. 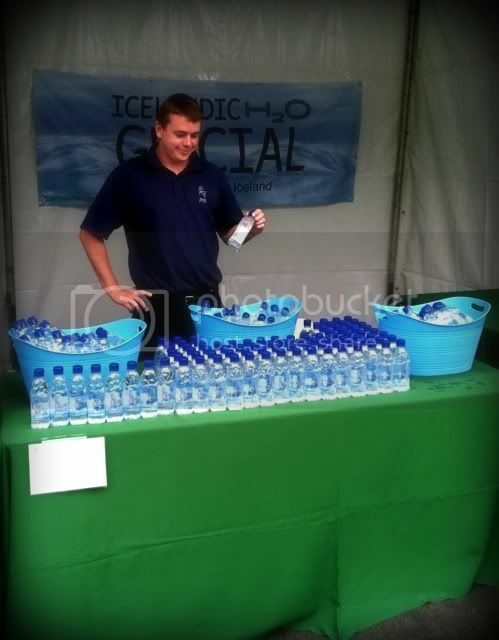 I stopped and chatted with a fellow named Mark, who manned the Icelandic Glacial Water booth. I told him I'd run his photo as "The Loneliest Guy At The Wine Event," but he did manage to give away a fair amount of his bottled water, singing the praises of it all the while. Match Vineyards is a small, family-owned winery which makesCabernet Sauvignon from their pair of Napa Valley hillside vineyards. I tried their '07 Butterdragon Hill Cab upon entering the festival, and it held up as one of my favorites of the day. It shows very rich currant and graphite aromas with great tannic structure and a finish highlighted by coffee and licorice. Their Baconbrook Cab shows a lighter version of the profile. Winemaker Cary Gott - Joel Gott's son - carries his four-generation winemaking lineage in style. Witch Creek Winery of Carlsbad, California in San Diego County poured the product of winemaker Ryan Baker. The winery is two blocks from the ocean in that quaint seaside community. The wines I tried were sourced in El Dorado County, Clarksburg and Mexico! Having limited experience with wines made from Mexican grapes, I jumped right in with theirSangiovese from the Valle de Guadalupe in Baja. The smokey cherry nose and flavors of a wood fire captivate. They also make a Nebbiolo grown in the same locale. The El Dorado County Reserve Cabernet Franc smells of beautiful cassis and cherry and has a vegetal layer draped over the lush fruit. A Viognier sourced from Clarksburg's Heringer Vineyards shows a lovely floral nose and a nice acidity which lasts into the finish. 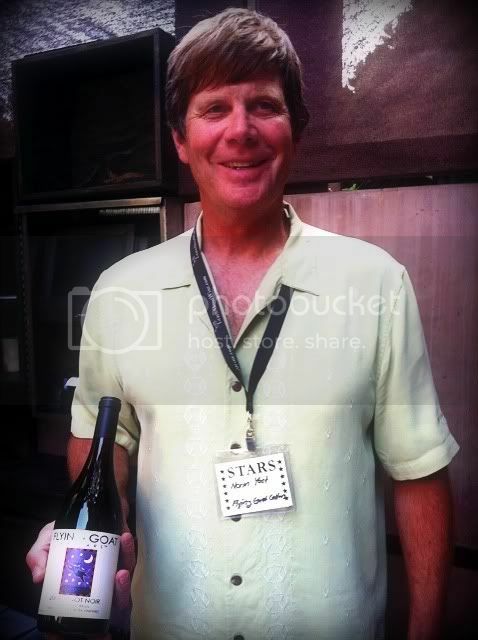 Rob Barnett, CEO and founder of Vin Village was there, pouring wines by Ricardus Corculum. That's the nom de vinof Richard Hart. The Latin subtext continues on the labels for his Napa Valley Cabernet Sauvignon, dubbed "Four A's." An A was an old Roman coin, and a wine which cost four of them was considered very good. The Ricardus Corculum Four A's Stagecoach Cabernet Sauvignon is luscious and elegant in both the '07 and '08 vintages, the tannins a little bolder in the younger one. The Ricardus Corculum ClandestZin Dry Creek Valley Zinfandel 2007 has a deep nose showing smokey chocolate and a very long finish. Randy Miller, President and "Wine Pouring Specialist" forSilver Stone Winery offered one of his own and one from another. His Silver Stone 2006 Pinot Noir is made from Santa Rita Hills fruit and clocks in with a very modest 13.5% abv number. A beautiful fruit punch nose leads to lovely cherry and raspberry flavors which flow into a long finish. Miller also poured a Petite Sirah from S. Morris Wines. The "S" stands for Sean, and he's getting recognition for his small-production boutique wines. His 2007 Roadrunner Ranch Paso Robles Petite Sirah is brawny at 15.1% abv, but the alcohol does not prove a hindrance. The Santa Rita Hills Winegrowers Alliance brought several nice bottles along. Fiddlehead Cellars'08 Sauvignon Blanc shows very elegant and subdued aromas and flavors with great acidity. Zotovich Family Vineyards' 2009 Estate Chardonnay is done in neutral oak. It's juicy and not too acidic. Weber Wine offered the '09 Babcock Vineyard Mishelle Pinot Noir - lovely cherry aromas and a refreshing tartness on the palate. 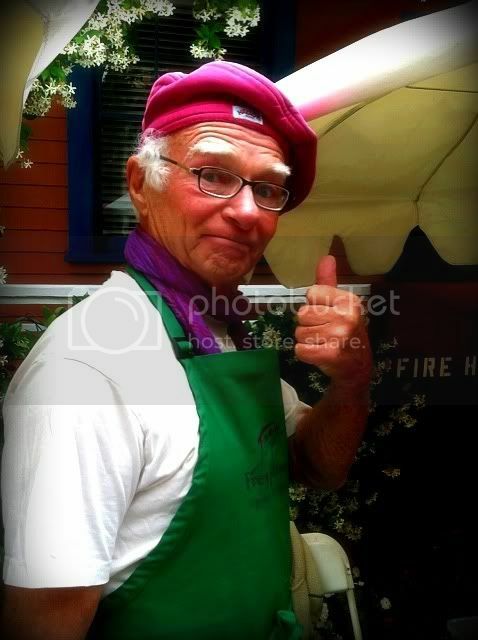 Mendocino County's Frey Vineyards brought Uncle Mickey along for the event. That's his picture, and he is every bit the bon vivant he appears to be. He's proud of his family's organic, no-sulfites-added approach to winemaking. Their '09 Sangiovese shows a lot of smokey fruit, a nice pepper angle highlights the '09Zinfandel and the '09 Frey Syrah is old-world delicious, one of the best Syrahs I've had. Who knew downtown L.A.'s San Antonio Winery makes wine in Italy? I didn't, but I was put on alert with their Il Conte d'Alba line from Piedmont. The Stella Rosa Imperiale Moscato and Stella Rosa Imperiale Brachetto d'Acqui DOCG are both fully fizzy, sweet and quite delicious. While I was at the table, several attendees tasted and were as wowed as I was. Their San Simeon Paso Robles Merlot is spicy and smokey, while their Maddalena Monterey Pinot Grigio lays a big mineral base for the fruit and flowers to come. Jada Vineyard and Winery, from Paso Robles' west side, poured a variety of wines, but the one that knocked me out was the 2010 "1149" Rosé. Blended from Cabernet Sauvignon, Merlot,Grenache and Syrah, this bone-dry pinkie shows beautiful strawberry and cherry with a long, pretty finish. Firestone Walker Brewery offered a changeup for those whose palates had tired of wine - or who just wanted a beer. Their California Pale Ale is light in color and shows a gigantic lemon rind flavor, while the Double Barrel Ale is dark, malty and delicious. Bixler Vineyards is a family farm/winery in California's San Joaquin Valley. They've been farming there for 150 years, although grapes are relatively new to them - their vines are 25 years old. Their White Blend is made from Viognier, Chardonnay and Sauvignon Blanc. It shows freshness with minerals and green apples. The Bixler Red Blend is Merlot, Syrah and Petite Sirah and features tart cherry and raspberry flavors. The Temecula Valley Winegrowers Association brought a variety of Temecula Valley product with them. As much as I admire some of the winemaking in Temecula, I wasn't too impressed with the samples from Stuart Cellars and Falkner Winery. The Cougar Vermentinosimply wasn't very good. The Wiens Family Cellars stainless steel blend of Roussanne and Chardonnay is nice. It offers a very smokey nose with minerals on the palate and a great acidity. Lodi's Michael David Winery had their 7 Deadly Zins to try. It's a favorite of mine anyway, and I found it paired quite well with a piece of Red Velvet Chocolate from the Bread Basket Cake Company table. Wedell Cellars poured a Syrah with a nice, funky nose but a rather unbalanced taste. TheirChardonnay is positively golden in color with a wooden nose and a nutty palate. Cielo Farms of Malibu showed a number of wines. I concentrated on their Woodstock Collection. The Red House Bordeaux blend shows a great sour cherry flavor; the '09 Purple Haze has a blueberry nose and luscious fruit on the palate; Blackbird is Malbec and Petit Verdot, with deep and rich dark fruit and a hint of chocolate on the finish. In a former life, I was a radio disk jockey. Clint Eastwood's "Play Misty For Me" held a special fascination. I figured if I was good enough at it, I would someday have a cool house near the ocean, drive a sports car on PCH and do my show on tape so I could come and go as I pleased. The downside: women with knives. I was a DJ for quite a long time. It seemed like a long time, anyway. I never got the ocean-view property or the sports car on PCH and I spent many long hours chained to a microphone. On the other hand, I never got stabbed. As far as wine goes for Clint Eastwood, he likes it. There's a rule which clearly states if you like jazz, you must like wine, and he certainly likes jazz. It's a package deal. He plays a jazz DJ in “Play Misty For Me," so even his character must like wine, too. There are plenty of references to the notion that Clint is like a fine wine - getting better with age. He doesn't want people to celebrate his birthday anymore, so he asks his wife not to get him anything special, just have a glass of wine with him. In his movie "Hereafter" Eastwood chose Rivetto's Barbaresca to be displayed in one scene, but finding a specific wine on which to hang Eastwood's hat isn't easy. Clint Eastwood does have a beer connection: Pale Rider Ale bore his name back in the '90s, a tip of the black Stetson to his movie of that name. Eastwood actually wanted the ale to be called "The Beer With No Name," as an homage to the character he played in his spaghetti western trilogy. Someone probably figured a beer with a name would be easier to sell than one without, but I recall that Prince did alright without a name for a while. The man who wrote the book, "Play Misty For Me," was Paul Gillette, something of a wine expert himself while he was alive. He published some wine industry trade newsletters, but that thread appears to go no further. The film is set in Carmel, so perhaps a wine from Monterey County would be appropriate. There’s a proprietary brand house wine at Clint’s Carmel restaurant, Mission Ranch. There’s also one at the restaurant he used to own, the Hog’s Breath Inn. Carmel Valley winery Chateau Julien is just down the road and was host to the First Lady’s Reception in 2008, an event Mr. and Mrs. Eastwood attended, so let’s go there. “Play Misty For Me” has been aging for over 40 years, and Clint for much longer. If you ask me, they both keep getting better. Everyone's always looking for a bargain, and wine drinkers are no exception - well, maybe the guy who paid $124,000 for a bottle of Burgundy is. My guess is he doesn't rummage in the bargain bins. Siegel has an interest in the book - he's in it - but it sounds like a tome that would be of interest to wine lovers who live on a budget. The book is called "A Toast To Bargain Wines: How Innovators, Iconoclasts and Winemaking Revolutionaries Are Changing the Way the World Drinks," and it's due out in November. The author - George Taber - wrote the book on The Judgment Of Paris, the famous blind tasting in which wines from California beat out French wines for the first time. In his new book, he will detail how some wine producers are looking to lower-priced wines as a part of their marketing strategy. Plenty of budget wine recommendations will also be offered in the book. Recently, my wife had a hair appointment in Beverly Hills, followed immediately by a girlfriend lunch, also in Beverly Hills. I dropped her off and ran a few errands, but still had a lot of time to kill in Beverly Hills. I turned to the wine. I had been meaning to explore few wine-oriented places in the Hills of Beverly for quite some time, and this sunny Saturday afternoon seemed perfectly suited to the occasion. 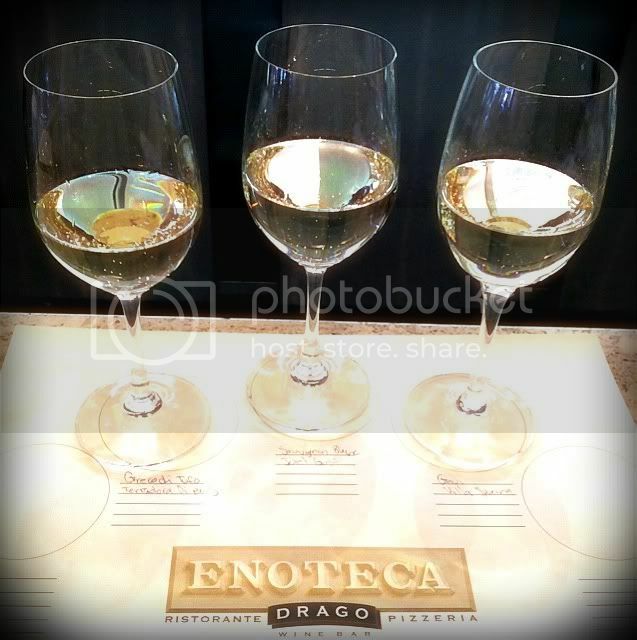 It was around noon - okay, it was 11:32 - when I walked into Enoteca Drago on Cañon Drive. There are, maybe, a dozen Italian restaurants in Beverly Hills. About 11 of them are owned and operated by the Drago family. That’s alright by me, as I always have wonderful food and a thoughtful wine list at a Drago restaurant. 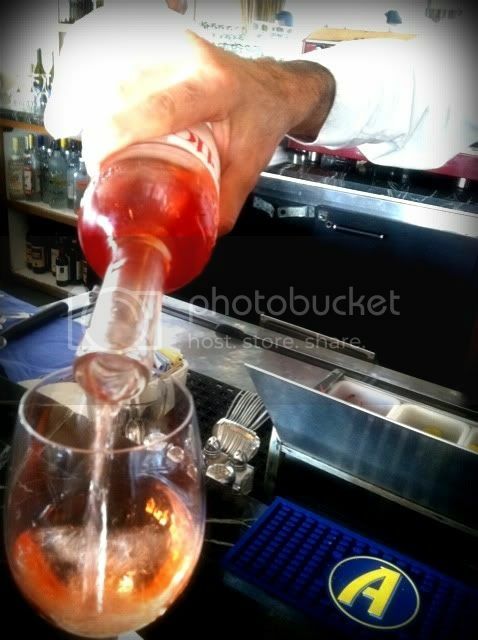 Enoteca is even more focused on wine than the other family locations, since it is a wine bar. The menu offers 11 different flights of wine in the $15 - $20 range, while single glasses are in the $9 - $23 neighborhood. The wine list has lots of variety, including late harvest selections, Ports and Grappa choices, too. There’s also a complete menu of Italian fare to pair with the wines. Richest color of the trio. Apricot and ocean on the nose, golden apples with a hint of honey on the palate. Minerals abound, great finish. Greco is an Italian grape, thought to be of Greek origin. Palest of the three, almost clear. Grassy and fruity notes make up the nose, with melon and herbal notes present. Peach and apple cobbler flavors are on the palate. The cobbler is a complete surprise, but it works. Medium straw in color the light nose is very hard to pick up. What is that lovely taste? It seems like cantaloupe or honeydew. There’s a lot of minerality, too. Wine from Gavi area of Piemonte is made exclusively of the Cortese grape. I ordered the calamari alla griglia with this flight. 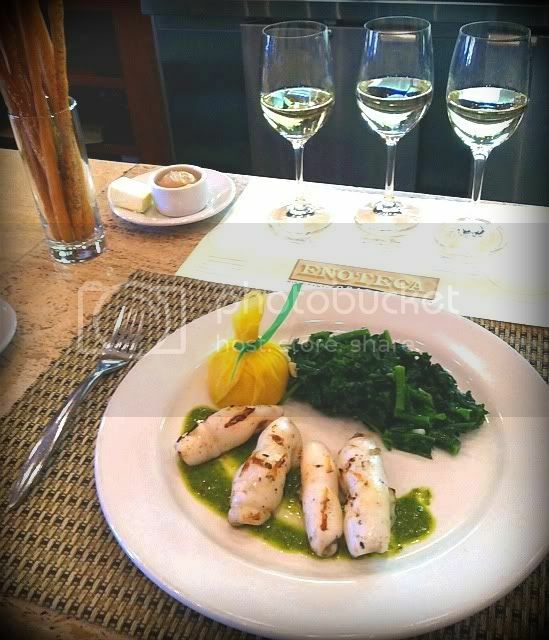 All three wines pair well with the calamari, the Gavi matches it the best. The Joel Gott Sauvignon Blanc went best with the rapini. By the way, when grilled calamari is offered, it should always have the grill marks on it. It does at Enoteca Drago. After checking in with the wife and friend at Cafe Roma (oddly enough, not a Drago restaurant) I was invited to go away a while longer, as the chatting got out of hand. Just up the street is Il Pastaio. Yes, it’s another Drago restaurant. This place looked really busy and festive at 1:00 or so Saturday. As I approached, a guy in a big, white Cadillac pulled up, with Italian music blaring at festival volume from his car stereo. As he made the corner, with the window down, he looked over at the sidewalk lunchers and led with his finger to the music. The mobile maestro was obviously enjoying the moment to share his passion, and I overheard a guest comment, “Wow, that’s real.” Indeed. I stepped inside and took a seat at the bar. I only examined the wine list for rosé, as that’s what I really wanted. The Chiaretto Provenza is $10.50 by the glass. Made with Groppello, Marzemino, Sangiovese and Barbera grapes, the wine hails from the area near Lake Garda in the northern part of Italy. The winery, Azienda Agricola Provenza, is located in the Lombardy region. Lake Garda has a special microclimate in which palm, olive and lemon trees thrive practically at the foot of the Alps. The wine is a nice, rich, salmon color and the ice cold status at which it’s served makes it a little hard to discern too much on the nose. The palate shows bright cherry and strawberry fruit with a hint of raspberry tartness. The wine is dry and crisp - very refreshing. The finish is good, and minerals are the last thing remembered after the sip is gone. California has a bounty of culinary delights to offer. The STARS of California wine event, presented by Ian Blackburn’s Learn About Wine on Thursday June 23, 2011, showed off the wealth of California food and wine in a controlled environment - only 200 tickets were made available to the public event at the Broad Stage venue in Santa Monica, so a "no crowds" atmosphere was expected. I attended the trade session during the afternoon, which was held in the garden setting of Santa Monica's Wilshire Restaurant. The Golden State also has a bounty of traffic snarls. I wonder how the road construction crews always seem to know where I'll be going, so they can block a lane or two on my route. The 10 mile trek from mid-Wilshire to the Wilshire Restaurant took an hour, and about the same for the return trip. It was Carmageddon! Even with the aggravation of traffic, the event made it worthwhile. The wines were presented as "future stars" of the California wine scene - and many of the wineries in attendance do fly a little under the radar - but the "future star" status is definitely deserved for the likes of Flying Goat Cellars, Palmina, Presqu'ile and Inception Wines. There was plenty more to rave about, too. 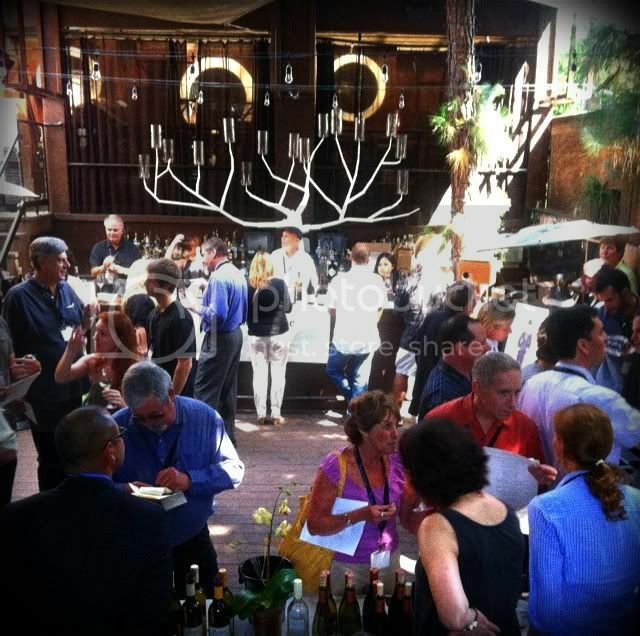 Norm Yost's Flying Goat Cellars of Santa Barbara always draws a crowd at Southern California tasting events. Norm (pictured at right) tasted me through a trio of his Pinot Noirs, each of which shows earthy minerality and wonderful acidity. My favorite is the 2008 Rancho Santa Rosa Pinot from the Santa Rita Hills. This 667 clone has a smokey nose and great black cherry flavor, with a mocha note that comes through into the finish. Randy Hazard of wine broker Vin 17 poured some delightful Pinot Noir and Chardonnay from Arroyo Grande's Center Of Effort. I was really taken with another wine he poured, the '09 Fossil Point Edna Valley Chardonnay. Nice tropical fruit and banana on the nose with great acidity and a zesty streak citrus on the palate bowled me over. Palmina Wines features Italian varieties grown in Santa Barbara County. Honea Vineyard is the only vineyard in California planted exclusively to Italian grapes, and Steve Clifton buys their entire crop every year. I love the earthy minerality of their Arneis, the briny herbal palate of their Tocai Friulano and the wonderfully dry Rosato di Palmina. Palmina's '07 Nebbiolo of Santa Barbara County is a three-vineyard mix with earth, smoke and spices bursting forth. Ryan Skinner, of Skinner Vineyards in the Sierra Foothills region, loves to pour his 2009Grenache, which winemaker Chris Pittenger produced like a Pinot. It's 100% Grenache, very dry, with a brilliant cherry nose and rich palate. I really liked their very dark and moody '07 Estate Syrah, too. Santa Maria Valley winery Presqu'ile has been making some noise recently. Or, more accurately, those who try their wines have been making some noise; a lot of tweeting, especially. South African Winemaker Dieter Cronje has crafted some wonderful wines. Presqu'ile's 2009Chardonnay is clean and crisp. I'm told Cronje utilized 10% new oak in this wine out of necessity - just so he could have some neutral oak next year. The real stunner is the '09 Pinot Noirfashioned from a half-and-half mix of Solomon Hills and estate fruit. Delicious, flirty raspberry and a long finish. Based in Los Angeles, making Central Coast wines, is Inception. Owner George Pitsironis (left) says they are on the wine lists at a majority of fine dining places in Southern California. Their '09 Santa Barbara County Chardonnay is lush and creamy, but limited use of new French oak leaves the minerals in the front seat. Inception'sPinot Noirs had the best aromas I found at this event. A Central Coast effort and a Santa Barbara County Pinot both followed up with rich flavor. It was a soon-to-be-released '09 Santa Rita Hills Pinot from La Encantada Vineyard that really wowed. It should be available in mid-July 2011. It was with great expectations that I stopped at the table of Lang and Reed, from the Napa Valley town of St. Helena. They do all Cabernet Franc, all the time. All their wines are based on Cab Franc, and John Skupny can do an impromptu dissertation on the grape and its clones anytime you like. With a shrug, he said "Somebody's gotta do it," when I admired his obsession. Lang and Reed's Two-Fourteen is made from the CF clone 214, which originated in the Loire Valley. It's a single-vineyard work with a beautiful vegetal edge and notes of coffee in its complex palate. Arman Pahlavan's Starlite Vineyards poured an exceptional Viognier and Zinfandel. Winemaker Julia Iantosca - who took over from Merry Edwards in 2007 - worked wonders with the '09Viognier, a weighty, barrel-fermented white with great acidity and a floral honey nose that's irresistable. The '06 Zinfandel was crafted for the person "who doesn't like Zinfandel." I can't imagine who that could be, but this Alexander Valley beauty shows bright cherry, coffee, chocolate and spice, with plenty of acidity. It's made from a Primitivo clone. Starlite's Cabernet Sauvignon sports 15% Napa Valley Tempranillo and shows intense red fruit. I'm told many tasters mistake it for Bordeaux. Mauritson Wines of Dry Creek Valley in Sonoma County scored with their Petite Sirah, indigo with concentrated fruit and great grip. I finished the session - appropriately enough - with Mauritson's Port-style dessert wine. Five Portuguese grape varieties are used for this blend. The sweetness bears an earthy counterpoint which makes me think it's not just for dessert. The wine industry in Nebraska began in the late 1800s, but never really got a major foothold. What was left of the Nebraska wine industry after Prohibition was decimated by a huge blizzard in 1940. There's an interesting story about that storm here. Nebraska's first winery of the new era didn't open until 1994 and there are a couple dozen on the books now. There are no AVAs designated for Nebraska, but the University of Nebraska - Lincoln has a viticulture program. Deb and Rick Barnett are the proprietors of Big Cottonwood Vineyards and Winery, a small farm winery located in the rolling hills of northeastern Nebraska four miles west of Tekamah and about 43 miles north of Omaha. Big Cottonwood uses estate grown fruit as well as grapes from nearby Nebraska vineyards. They rely heavily upon grapes which are suited to cold weather - Frontenac, Seyval, Brianna, St. Vincent, De Chaunac, St. Croix, Vignoles and Prairie Star. The Barnetts say Big Cottonwood is the only Nebraska winery they know of which makes a méthode champenoise sparkling wine. It's made from Brianna, a fairly new grape variety which can survive the brutal winters and is found mainly in Nebraska. Their line known as The Pelicans are wines made as a tribute to Lewis and Clark's westward exploration over 200 years ago. There is a mural commemorating the trek on the side of the VFW hall in Tekamah. I like this facet of Nebraska wine, as the Wine Country series dabbles a bit in history, too. We are usually restricted more or less to the grape history of America. The pelican tie-in results from the fact that the Lewis and Clark expedition stopped along the Missouri river east of Tekamah and shot a pelican there in order to measure it. That's how it was back in the pioneer days - shoot first and break out the tape measure later. 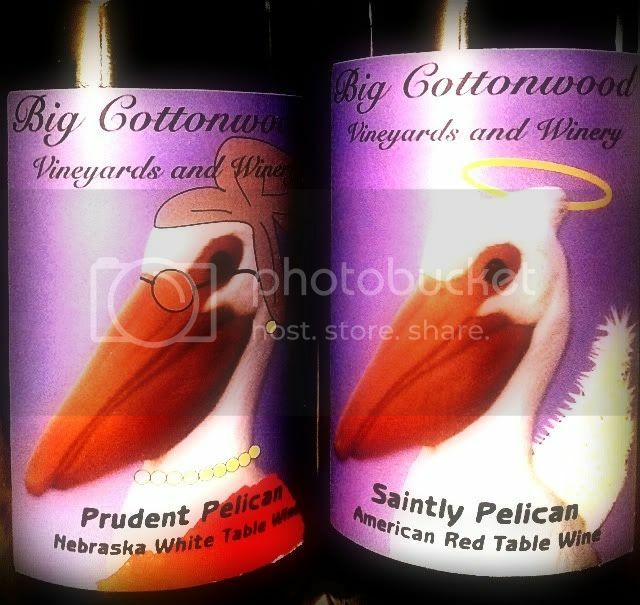 Big Cottonwood Winery was kind enough to supply two wines from their Pelican line as the Nebraska entry to Now And Zin's Wine Country series. This white wine is a blend of Brianna and Prairie Star. Brianna is a hybrid grape developed by Wisconsin grape breeder Elmer Swenson, who also developed Prairie Star and St Croix. It has a lovely golden color and the nose shows a honeyed herbaceousness. The wine is off dry with a medium mouthfeel. Flavors of dried pineapple and banana - are carried along on a vibrant acidity. I’d love some shrimp or a swordfish steak with this. This red table wine is a blend of St. Vincent and St. Croix - another pair of hybrid grapes - hence the "sainted" name. Medium ruby in the glass, it's not so dark that I can’t see through it. The nose has a rubber aroma and a strong scent of mint. An unusual spice aroma wafts in and out, and there’s a note of brown sugar. To say the least, it's quite a striking and distinct aroma package. On the palate, it’s just as distinctive. Very dry and rough hewn, the tannins are not too tough to handle, but they do speak up. Flavors of sour cherry draped in tart raspberry make me want to pair it with grilled chicken or venison sausage. A ferric quality persists into the finish, which is lengthy. Both of these Nebraska wines from Big Cottonwood are very different tastes for a palate accustomed to wine made from vinifera grapes. This is part of the American wine experience, though. I’m glad I had the chance to get to know these grapes a bit. I hope you'll get that chance, too. "Rosemary’s Baby" gives us a glimpse of just how far an actor will go to get a role. Make a deal with the devil? Okay. Pimp out your wife to Satan? Hey, residuals are residuals. The conflict between God and the devil really boils down to artistic differences. They're both directors, and they each want a different ending. Considering all the devil-worshiping in "Rosemary's Baby," some may want to watch it while drinking sacramental wine - naked. John Cassavetes as struggling actor Guy Woodhouse displays a lack of moral character usually reserved for agents, or so they say. Mia Farrow as his wife, Rosemary, shows once and for all that it's not paranoia if they really are out to... well, you know, screw you. There's a lot of drinking in the movie, so you should feel right at home uncorking a bottle and having a hell of a good time. Raise a special toast when Hutch says, "Have some more wine," this movie's "Hi, Bob" moment. The Swingin' Sixties tone of "Rosemary's Baby" is set with Mia Farrow's groovy fashions and Vidal Sassoon haircut, and it gets kicked up a notch when Roman Castevet brings out that tray of Vodka Blush cocktails. It can be argued that no woman in movie history ever needed - or deserved - a drink more than Rosemary. After all, the devil got to know her - in the biblical sense. She needed a real drink, not that homebrew made from tannis root that Minnie Castevet kept pushing on her. Tannis root, by the way, is not to be confused with the tana leaves that brought The Mummy back to life. On to the pairing. Napa Valley's Stone's Throw Winery has a Cabernet Sauvignon called Rosemary's Baby, but it doesn't even have any devil imagery on the label. There's a Rosemary's Baby India Pale Ale, but I don't see a craft beer working, either. There’s no sin in having a beverage with a head - but what’s wrong with its eyes!! As long as we're dealing with the devil's apartment, how about going downstairs to the devil's cellar? The Chilean winery Concho Y Toro makes a wine by that very name, albeit in Spanish. Casillero del Diablo celebrates the legend of the winery's founder. They say he discovered some of his primo wine missing from the cellar, so he put out the word that the devil lived there. That kept everybody away, except the ambitious actor who sublet it. 7 Deadly Zins, though, is my choice of wine to pair with "Rosemary's Baby," for obvious reasons. It's actually named for the seven Lodi vineyards from which the grapes were harvested, not the seven deadly sins which can probably be repeated - chapter and verse - by anyone with a Catholic school background. Before we close the page to resume our sinnin' and movie watchin', let's have a little fun. I have one more wine to suggest for "Rosemary's Baby" - Tell Tom Evil Revved. If you're stumped, or just hate puzzles, come back next Thursday for the answer in Blood Of The Vines. There is a long list of winery tasting rooms in Paso Robles which are fun to visit, but there's one you really have to see. 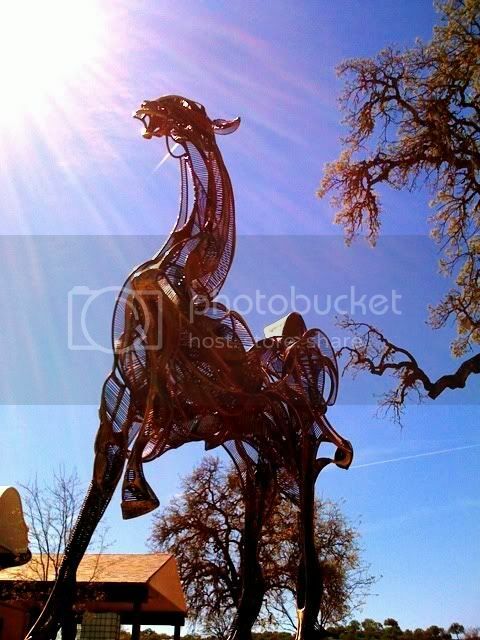 Sculpterra Winery pours some good wine, but they also show off some dandy visual arts to go with it. 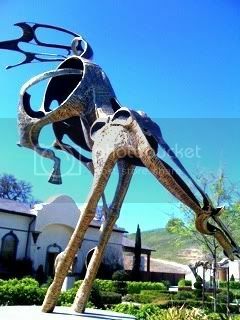 Sculpterra's property is adorned with beautiful iron work from master blacksmith Bob Bentley and the tasting room features contemporary art by Aleah Koury. The grounds around the tasting room are a real treat, with sculptures in bronze and granite by John Jagger. 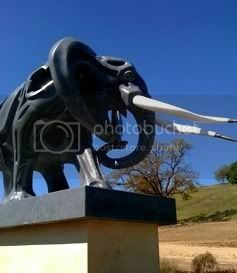 Pictures don't really do justice, so plan a visit to Sculpterra for your next trip to Paso Robles. You'll be glad you did. Just don't get so mesmerized outside that you forget to go inside to taste the wine. The Frankel family started out growing pistachios and a few grapes. The grapes won, as they now dominate their 260 acre estate vineyard. They're still nuts about their pistachios, though. Have some from the tasting bar. 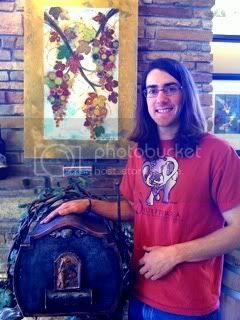 Young winemaker Paul Frankel is a 2009 grad of Cal Poly SLO. He has already shown his stuff in the winemaking game, sculpting some very nice wines to rival the sculptures outside the doors. Sculpterra's 2010 Chardonnay is a steely white, while the 2009 Viognier has a big, floral nose with flavors of pears and honey. The 2007 Merlot shows beautiful, smokey, red fruit, while their '07 Zinfandel is actually Primitivo. Great spices abound in the '07 Syrah from O'Neal Vineyard. The Sculpterra Cabs are wonderful. The '07 has a zin-like nose and evidence of the American and Hungarian oak. The '05 Cabernet Sauvigon - a library wine - is silky smooth with gentle tannins and a pencil point edge. The '06 Cab is much fruitier than the '05, and gives some nice minty, herbal notes. The 2007 Figurine is Paul's initial stab at winemaking, and he really nailed it. Equal parts Cab and Zin with a bit of Merlot, this wine lets the different varieties really shine. The '07 Maquette shows a lot of graphite. It's 63% Cabernet Sauvignon, 25% Merlot and 12% Petite Sirah. They also poured the dense '08 Petite Sirah and a non-vintage Zinfandel dessert wine. The late-harvest Zin is a Port-style wine with brilliant flavors that cry out for some blue cheese. We have tasted and written about the Stepping Stone Riesling and Sauvignon Blanc Cuvée Musqué from Napa Valley's Cornerstone Cellars. Both are great wines for warm weather sipping. The winery also provided their rosé for our perusal. Winemaker Jeff Keene did a fine job on the two under-$20-whites we tried, and his efforts with the pink produced similar results. The Stepping Stone Corallina Rosé is made of Napa Valley Syrah, carries a very moderate 13.9% abv number and retails for $18. Cornerstone says the name "Corallina" is Italian for "coral," which is a pretty fair description of the color of this wine. A beautiful nose of strawberry fruit and Pez candy sails along on an herbal undercurrent. There's no cloying sweetness here, not even close. It's bone dry with a zing of acidity right off the bat. The slightest trace of white pepper gives way to a beautiful layer of cherry and strawberry flavors overlayed with minerals. This wine will be welcome on the deck all summer, and on the lunch table any time of year. Wine aficionados always want to be on the leading edge of wine trends. At the London International Wine Fair, held in May, wine experts identified and explored trends in the wine world they felt were worthy of inspection. An article in The Independent cites a trend toward wines with citrus - specifically lime - aromatics as one of the next big things these wine experts were expecting. Surprising blends and a deep and abiding love of Pinot Grigio were also singled out as major directions in the wine world. A spokesperson for the event said the Austrian Rotgipfler is one grape those in the know are keeping in their sights, as well as the South African wine called Zevenwacht. That's a blend of Sauvignon Blanc, Viognier and Chardonnay. The lime and citrus notes of Riesling and Gewurztraminer are said to be winning over wine drinkers everywhere, as is the Italian bubbly Prosecco. According to the spokesperson, many people find Prosecco's lighter approach preferable to the drier, heavier feel of Champagne. The event spokesperson claimed that people seem to be "moving away from pure fruit... towards more restrained, elegant characteristics." 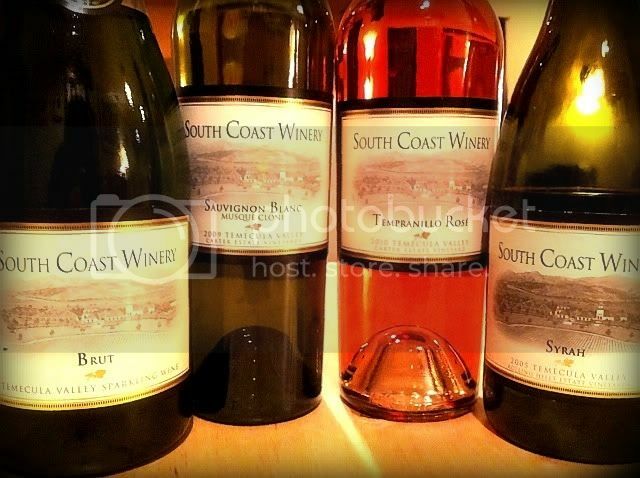 One of Temecula’s showcase wineries - South Coast Winery - held their second live-streamed Group Therapy session of 2011 on May 25th. Interested parties watched the live video stream and tweeted with one another - and the world - about the wines they were tasting. The event is designed to coincide with their wine club shipments, so you can expect another Group Therapy session sometime in August. Tasters were able to order ahead of time the package of wines being featured so they could taste and tweet along with everyone else. 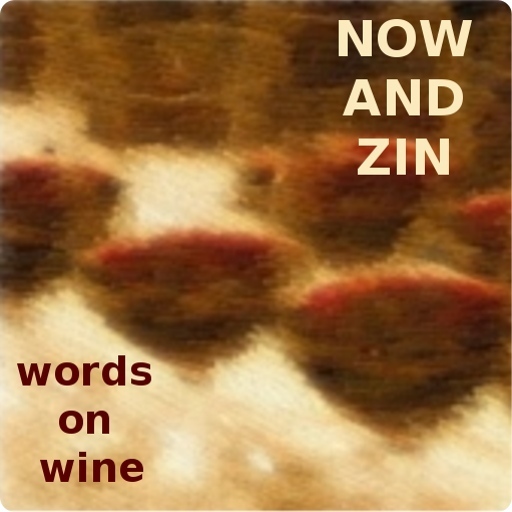 Now And Zin was provided with complimentary samples for review. With one event like this already under their belts, the group at South Coast Winery seemed pretty relaxed in their comfy chairs in front of a cozy fireplace. South Coast Owner Jim Carter and winemakers Jon McPherson and Javier Flores held the fireside chat in a living room setting with the logs burning behind them. Carter used the homey setting to announce that the South Coast wines will soon be distributed nationally. The participants on the viewing end had a nice time, too. In addition to those tasting in person, there were wine lovers chatting on the winery’s website and on Twitter about the four wines in the tasting group. I caught several comments indicating pleasant surprise at the quality of the wines as well as at least one complaining of overly ripe fruit. That’s a matter for debate; while the flavors were admittedly big, I didn’t feel it was something unexpected from grapes grown in Southern California. This extremely aromatic wine is made entirely of the Musqué clone of Sauvignon Blanc. That’s a cross between Sauvignon Blanc and Muscat. This clone allows the florality of Muscat to soften the acute grassiness of Sauvignon Blanc. The Carter Estate Vineyard, from which the grapes come, is now seven years old. The wine has an amazingly low alcohol level of 12.2% abv. Light in color and beautifully aromatic, the wine has generous notes of fresh cut grass and a driveway after a brief rain. The mouthfeel comes on strong, too. There’s a striking acidity, with flavors of lemon peel and minerals. 70% Chardonnay and 30% Pinot Noir, this sparkler shows off its main grape. Most of the fermentation was in stainless steel, while only 12% of the blend was fermented in new French oak. Closed cuve secondary fermentation with 11 months on the lees finished this methode champenoise offering. The alcohol level is 13% abv. Despite the limited exposure to oak, there's a very aromatic nose with huge yeasty notes. Flavors of apples and citrus dominate the palate, and there is quite a bit of acidity. It's a very fizzy wine, but when the bubbles die down it takes on the feel of a dry still wine with a touch of yeastiness. Several tasters were pining for some sushi to pair with it. This Temecula Tempranillo is a beautiful light magenta color. The nose is, once again, aromatic. Strawberries are met with a touch of funk, while herbal berry aromas also come into play. The wine offers a zippy acidity, and the strawberry and cherry flavors are enormous! This Syrah was fermented in stainless steel and aged 14 months in French/American hybrid barrels. The 14.3% abv alcohol level makes itself known on the nose, which is all spices, vanilla and clove layering over the blackberry and cassis fruit. Definitely not a cool climate Syrah, there's a ton of very ripe and juicy aromas with lots of spice and a touch of tar. The palate shows intense fruit with big spice flavors as well. There's a lot of influence from the oak at first and it runs a bit hot, so let it sit a while or decant before serving. The wine shows a great meatiness after it opens up a bit. Three days after opening the nose is incredible. Tar, leather, meat and sage all play with an admirable complexity. The heat’s killing me. Just the short walk down to that crummy wine bar in Hollywood has soaked my shirt through. It's not a good look for a pool boy, much less a hard-boiled insurance man. Sometimes it's hard to to tell us apart. I remember when I could walk down the street and get liquor. I could get liquored up, if I wanted. Now, wine bars all over Hollywood. Even in Los Feliz. One good thing about wine bars: you'll always find plenty of slick dames hanging around in them. None like her, though. None like Phyllis Dietrichson. Nobody can touch her, or that honey of an anklet she wore. Well, almost nobody. Something was hinky about that Los Feliz iced tea she gave me. I asked if she had a bottle of beer that wasn't working, but I guess they were all busy. At my place, I thought she should have had some of that pink wine. The kind that bubbles. All I had was bourbon. Bourbon was enough for Phyllis. The room started spinning and I dreamed I slipped out of character and headed up to MacMurray Ranch. It's in the Russian River Valley, prettiest place you ever saw. I bought it in '41, as a getaway from troubles just like this. After I'm done here, they'll probably sell the cattle and plant grapes. Maybe avocados. No, grapes. The better for making wine. Wine, to sell in wine bars to an everyman like me, Walter Neff. Wine, to be lifted as a toast to a slick dame like Phyllis. A slick dame like Phyllis who can have her way with a guy like Walter Neff. How could I have known what kind of poison she was? How could I have known that anklet she wore was like a sign saying "Bad dog - keep away?" How could I have known wine bars would ever become so popular? How could I have known something so sweet, rich and powerful could go so bad? How could I have known that murder can sometimes smell like honeysuckle? Blood Of The Vines suggests pairing "Double Indemnity" with the 2009 MacMurray Ranch Pinot Noir, Russian River Valley. It features earthy cherry flavors - rich, sweet and powerful. It retails for $35. 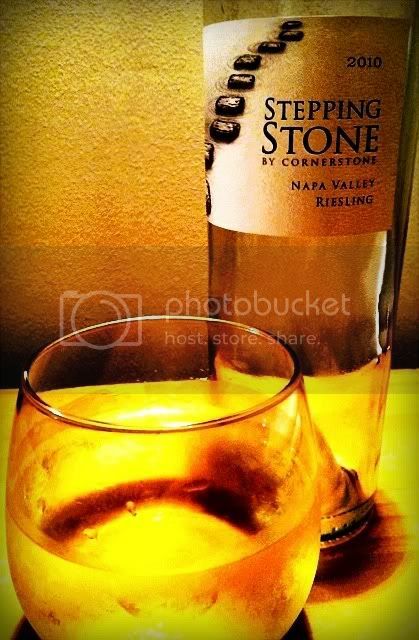 Yesterday we tasted the Stepping Stone Napa Valley Riesling. 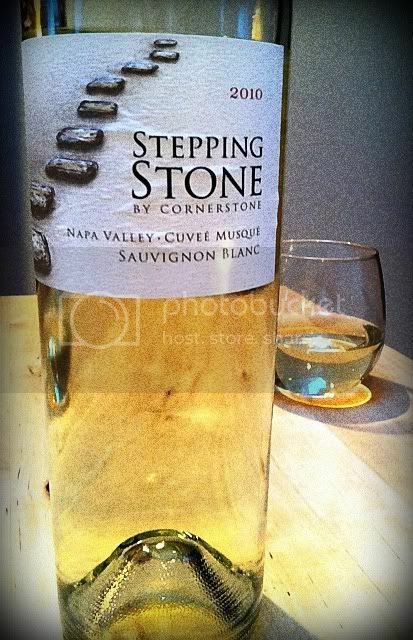 Napa Valley's Cornerstone Cellars also provided Now And Zin with the Sauvignon Blanc from their affordable Stepping Stone line. It's a Musqué clone, it's a great summertime wine and it retails for $18. This racy white wine is made from a clone of Sauvignon Blanc called Cuveé Musqué, a highly aromatic version of Sauvignon Blanc crossed with the Muscat grape. Stepping Stone's Musqué has an alcohol level of 13.5% abv. It's very pale in the glass, a very clean appearance with almost no color at all. The nose is quite aromatic, musqué, if you will. The aromas of grassiness are most pronounced, but they stop short of some of the cruder descriptions people tend to use for Sauvignon Blanc at its most expressive. A strong citrus scent is also present, grapefruit to my nose. The palate is full of minerals - wet rocks - and a bracing acidity that is most refreshing. There’s a citrus streak a mile wide, bountiful with limes and grapefruit. A zestiness on the finish leaves a crisp, clean feeling and the traces of minerals persist a long while. 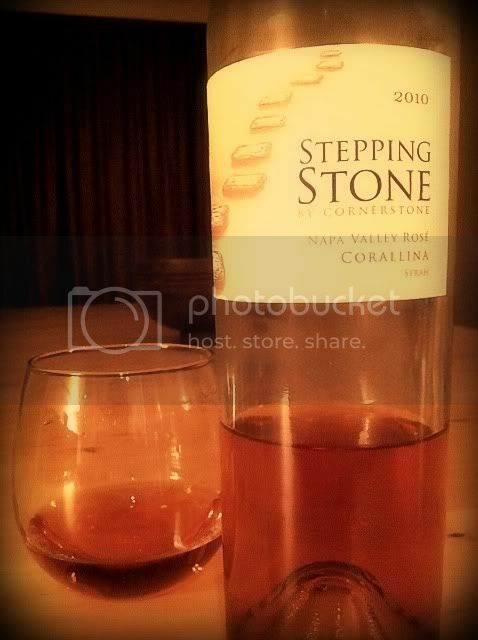 We still have the Stepping Stone dry rosé to try, which we will do next week on Now And Zin. Napa Valley’s Cornerstone Cellars is known for their high-end Cabernet Sauvignon wines. These are wines mainly destined for the cellar, to be aged and enjoyed at some future date. We all want a wine to drink right now, though - with dinner tonight - and to that end, Cornerstone produces a line of everyday wines, made and priced to be enjoyed as soon you get them home. They carry the Stepping Stone label. Cornerstone was kind enough to provide me with three of their Stepping Stone wines for review, two whites and a rosé. The trio retail for $18 each. Stepping Stone also offers a Syrah, Cabernet Franc and Cabernet Sauvignon. Today we'll find out about the Stepping Stone Napa Valley Riesling. Winemaker Jeff Keene has done a great job with this Riesling, made the Alsatian style. The wine carries an alcohol level of 13.5% abv and has a pale, straw color. The Stepping Stone Riesling's nose is simply beautiful. Soft aromas of flowers and honeydew are met with an equally soft sense of minerals for a bouquet with all the sharp edges removed. So gentle are the aromas I was somewhat surprised to find that the wine is fermented and aged completely in stainless steel. Despite the label designation, the grapes actually come from the cool-climate Carneros AVA. The palate shows lovely citrus flavors - lime and some orange zest - and a fine minerality that rides on an acidity which would be just fine with a piece of fish, crackers and a soft cheese or even a handful of walnuts. It's a dry, crisp expression of Riesling and the finish is of medium length and really lets the acidity shine. We'll cover the Stepping Stone Sauvignon Blanc Cuvée Musqué and their dry rosé tomorrow and next week on Now And Zin. The British royal family has certainly consumed enough sparkling wine - now they plan to make their own. TheTelegraph reports that the Duke of Edinburgh, Prince Phillip, is closely involved in a project to plant new vines of Pinot Noir, Chardonnay and Pinot Meunier in a section of Windsor Great Park. The intention is to produce a royal sparkling wine. The English wine industry is looking at this development as a huge boon. According to the article, English wine had a banner year in 2010 with more than four million bottles of wine produced in England. Master of Wine and viticultural consultant Stephen Skelton is also involved in the project, according to the Telegraph. He planted the first vines at Chapel Downs in 1976. Chapel Downs is now Britain's biggest wine producer. Vineyards require three years to produce wine grapes, so there will be a wait for the royal vintages to start rolling out. The Telegraph observes that many hope it will be a royal sparkling wine which is hoisted in toasts at the next royal wedding. Still striving to taste 50 wines in 50 states, Now And Zin's Wine Country series gambles on a Zin from Nevada. Nevada's wine industry is one of the tiniest in America. There are only three wineries in the state and a half dozen additional vineyards. At one time not too long ago, there was only one winery in Nevada, and it was the Pahrump Valley Winery, about an hour outside of Las Vegas. Wine grapes are very hard to grow in Nevada, as the weather is not hospitable. Depending upon where you are, it's either too hot or too cold. The University of Nevada at Reno studies grape growing in an effort to stimulate that industry for the state. They feel the grape-growing areas in Washington and Colorado are similar in climate to the northern part of Nevada. Pahrump Valley Winery is in the southern part of the state, where temperatures are very hot throughout the long summer and can get quite cold during the winter. Pahrump Valley Winery was established in 1990 in the town that bills itself as "The Heart of the New Old West." Besides the winery, Pahrump is probably most noted for its legal brothels. 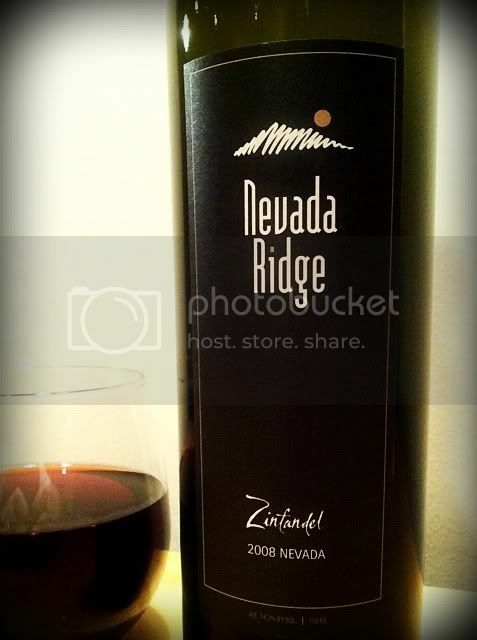 Pahrump Valley's 2005 Nevada Ridge Zinfandel was the first Nevada-grown red wine produced in the state. They made 100 cases of that vintage and plan to produce 1200+ cases of wine in 2011. They also have the first-ever Nevada Port aging presently. Pahrump Valley does utilize some California and Oregon grapes, but the Zinfandel is all Nevada and they proudly say it represents their terroir well. Bill and Gretchen Loken - the winemakers and proprietors - give special thanks on the label of the ‘08 Nevada Ridge Zin to Jerry Nelson and Bob and Roni Regan, who are listed as contributing growers. The Nevada Ridge 2008 Zinfandel is a medium ruby color I can see through. Wild cherry on the nose is joined by plenty of vanilla spice notes. There is quite a bit of alcohol on the nose, and on the palate at first. That’s surprising since it carries a 14.2% abv number, not huge by Zinfandel standards. The heat does settle down nicely after a bit of time, though. I’d recommend decanting for a couple of hours. The wine shows big, bright berry flavors; there’s a raspberry layer over the wild cherry I smell, and a dusty aspect laces the fruit. A flavor of black tea lasts into the finish very pleasantly. It’s a fairly lengthy finish, too. The mouthfeel is a little lighter than I am used to with California Zinfandels, but in the hot desert summertime, that’s probably a welcome attraction. I can even see drinking the Nevada Ridge Zin with a bit of a chill on it - say, at a barbecue. Pairing wine with certain movies requires a leap of faith. How would you really feel having fava beans and Chianti while watching "Silence Of The Lambs?" "Arsenic And Old Lace" presents a similar difficulty. Frank Capra's film rendition of "Arsenic And Old Lace" stars Cary Grant as a newlywed who discovers his two sweet, old aunts are inviting elderly men to their home and offering them elderberry wine dosed with poison. They do this as a sort of public service. They figure the old guys had nothing to live for and they give them a little push toward everlasting peace. So, two sweet, little old ladies are revealed to be murderers. Sweet, little, old murderers, but murderers nonetheless. It’s a dark comedy with plenty of laughs. While noodling around on the internet - we call that "research" - I found an interesting wine factoid about Cary Grant. Supposedly, Grant once beat Winston Churchill in a wine tasting contest! The score was evened later when Churchill beat Grant at cigar tasting. Is it true? Who knows? It was on the internet. But I like to think it is. You can pick your poison for "Arsenic And Old Lace," but how could you resist pairing it with elderberry wine? Manischewitz offers an elderberry wine that's easy to find and keeps the cost of date night down - it's less than $5 a bottle. It's a very sweet wine, just like those little old ladies. The trouble is, it's not really elderberry wine. It's made from grapes with some flavoring added. Not so bad, considering what's being added to the wine in the movie. You can make your own elderberry wine, or have someone you really trust make it for you. Just don't use the recipe given in the movie, which calls for "one teaspoon full of arsenic, half a teaspoon full of strychnine, and then just a pinch of cyanide." Whatever wine you choose for "Arsenic And Old Lace," we recommend opening the bottle and pouring in plain view of all present. We want the only "funny stuff" to be that which is in the movie. See this article and a lot more cool movie stuff on the Trailers From Hell blog, From Hell It Came. 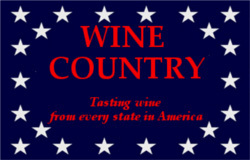 American wine drinkers sometimes find wines from other countries a little hard to navigate. The labels are written in languages you may not understand, using terminology you may not be familiar with even if you speak the language. That's why it's a good idea to pursue opportunities to expand your knowledge of wine the world over. 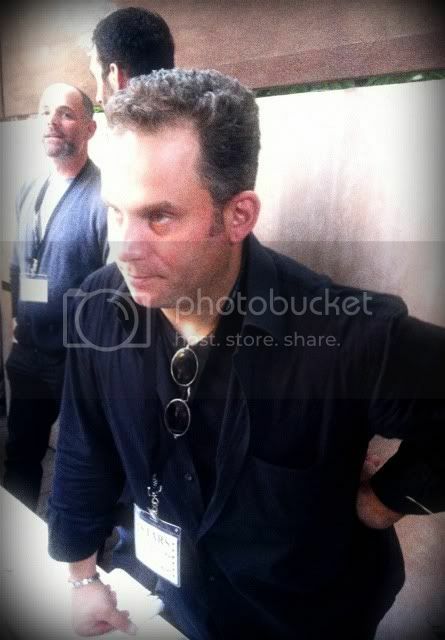 Los Angeles was treated to the Drink Ribera Workshop recently. 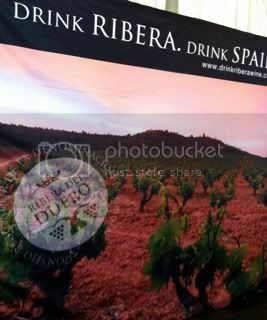 The event spotlighted the wines of the Spanish wine region Ribera del Duero on May 2, 2011 at SLS Hotel at Beverly Hills. There were not an extraordinary number of wineries - bodegas - represented, but the turnout was good and the tasters seemed to enjoy the wines quite a bit. Immersing yourself in the wines of other countries at events like Drink Ribera is the best way I know to become more familiar with these wines and expand your knowledge base. The event had one facet which I have not noticed at other wine shows presenting wines from other countries in America. 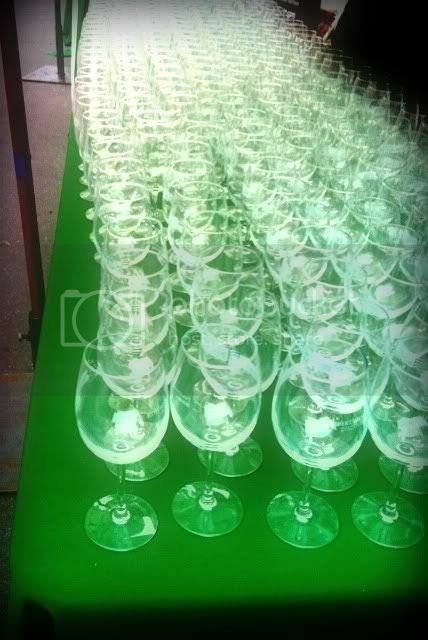 In addition to the tables for each winery that already has representation in the U.S., there was a large table with bottles from wineries seekingrepresentation. There were some importers tasting and discussing the wines, and I hope some struggling Ribera winemakers end up with American distribution as a result. Ribera del Duero is located in Spain’s northern plateau, about an hour and a half from Madrid. The region is about 71 miles long and 22 miles wide and covers four provinces of Castilla y León - Burgos, Segovia, Soria and Valladolid. Ribera - meaning "river bank" - lies along the Duero River Valley. Ribera benefits from the great diversity of the soils on both banks of the river. The average altitude of the vineyards in Ribera is 2750 feet, with some at over 3000 feet above sea level. The area has dry summers in which temperatures can reach over 100 degrees Fahrenheit and long harsh winters that can send the temperature down to below zero. Ribera only gets an average of 17 inches of rain per year. Winemaking in Ribera dates back 2,000 years. The short growing season of Ribera del Duero, combined with the diverse soils and modest rainfall make Ribera a good place to make wine of rich intensity. Ribera's main grape - Tempranillo - is an early ripening grape well suited for the conditions there. Joven - No oak is used in producing Jovan wines, which are typically fruity and intended for immediate consumption. Crianza - These are aged for two years with a minimum of twelve months in oak barrels. Reserva - Aged three years with a minimum of twelve months in oak barrels. Gran Reserva - These wines are made in select vintage years only. They are aged a minimum of five years with twenty-four months in oak barrels minimum followed by additional bottle aging. Rosado - Rosé wines are fermented without the skin of the grape and are available shortly after the harvest. Monte Pinadillo Crianza 2007 - Imported by Luxe Vintages, this is a very dry Tempranillo, loaded with spices and big fruit flavors. Bodegas y Vinedos Ortega Fournier, S.L. Alpha Spiga 2004 - Distributed by Henry Wine Group, the grapes for this wine were taken from 70-year-old vines. It has received 90+ ratings from critics. Protos Bodega Ribera Duero de Penafiel, S.L. Reserva 2005 - Imported by Winebow, this is a star of their lineup. It's easy to taste why, with a candy-like nose and palate. Crianza 2007 - Imported by New Age Imports, there are tons of spices in this one. Tempranillo 2009 - Imported by Classical Wines from Spain, this was my favorite. Beautiful blackberry and raspberry flavors dominate. Southern California wine adventurers who would like to take a Mexican wine for a spin can do so at the Loteria Grill Studio City location. Loteria Grill is known for their incredible Mexican food, so it seems a natural for them to offer wines made in Mexico to pair with their cuisine. L.A. Cetto, I'm told, is a mass producer of wine south of the border - along the lines of Gallo in the U.S. While their wines aren't thought to be reflective of the burgeoning quality wine industry in Mexico, they are popular and relatively easy to find. 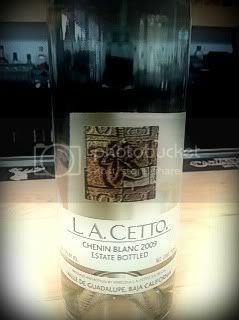 The Chenin Blanc from L.A. Cetto is made from 100% Chenin Blanc grapes grown in the Valle de Guadalupe region of Baja California. The wine has an alcohol level of 12% and sells for around $10 a bottle. It was $9 by the glass at Loteria. Almost clear in the glass, the wine has a fresh nose with minerals and pears leading the way. It tastes very fresh and light with a mild acidity that makes a better show on the finish. Tropical notes come on the mid-palate, which helps it pair so well with the plantains. It would seem to be made for that match. It's a lesser success with the cheese enchilada in a pumpkin seed sauce, but that sauce is not to be missed. A new report seems to surface weekly on further findings of the health benefits of wine. Wine has been reported to reduce the risk of stroke, heart disease, cancer, clogged arteries, kidney stones, dementia - it has even been credited with prolonging life itself. We know for sure it makes life more enjoyable, but now, according to an article in Wine Spectator, wine may help reduce bone loss in men over 50 years of age. An Australian study found a correlation between red wine consumption and improved bone mineral density in men over 50. Keeping your bone density high helps stave off osteoporosis. The article cites the Surgeon General's figure of 44 million Americans who have osteoporosis and his prediction that half of the 50-plus set will have weak bones within ten years. The researchers figure it may well be the contents of the grape skins which are beneficial to bone strength, and they also noted the possibility that silicon in beer could be a contributing factor. At any rate, the scientists say a lot more research will be needed, and the head of the team said he wasn't in short supply of volunteers. Be careful how much red wine you consume to keep your bones strong. Over-indulging in alcoholic beverages contributes to a higher rate of bone fractures in older people. If you feel like a trip to California's Central Coast wine region, and you like Chardonnay - here's an event you should try to attend. The Chardonnay Symposium, July 23rd in bucolic Santa Maria, California. The Chardonnay Symposium is a full day devoted to the Chardonnay grape and the wines made from it. Two educational panels kick off the festivities - one at the famous Bien Nacido Vineyard and the other atTantara Winery. They're followed by a luncheon at Au Bon Climat Winery and then a Chardonnay Grand Tasting event at Byron Vineyard and Winery, where you'll taste delightful examples of Chardonnay from Oregon, Sonoma and the California Central Coast. Guest speakers include Wine Enthusiast writer Steve Heimoff and wine expert Karen MacNeil, author of The Wine Bible. For Chardonnay lovers, this a "can't miss" event. Tickets cost $125 for the full day and $65 for the Grand Tasting event only. Thinking about wine and "The Godfather," the natural question is: What kind of wine would Don Corleone drink? With that question in mind, I turned to the one and only source for factual information - the internet. I found that someone had already been curious about that topic, and had asked Yahoo Answers the very same question. There was a scant response - c'mon people, it's the internet! Have an opinion! - and a few choices were tossed out there, including Valpolicella, Chianti and Amarone. Good choices, but let's be sure before we view The Godfather. Brando's Corleone does say in the movie that in his advancing years he likes drinking wine more than he used to. To which his son Michael replies "It's good for ya pop!" The Don might like a Moscato out in the garden when he's sticking an orange peel in his mouth, but it's hard to imagine The Godfather as a white wine kind of guy. The fact that Corleone is Sicilian might suggest we look to some of the wines for which that volcanic island is known. Dessert wine is a possibility. Sweet wines often pair well with their opposites, and The Don certainly seems to be the opposite of sweet. The Godfather might use Marsala to cook with, if he cooked, but he wouldn't drink it. Chianti? He likes cannellini beans, not fava beans. Anyway, we're getting into a different movie. Some have suggested to me that Corleone might enjoy a Barolo. That’s not a bad suggestion, but the Nebbiolo grape is primarily from the northern part of Italy, not Sicily. Also, Barolo is considered a strong and forceful wine. The Godfather might tend to look at anything with a jaundiced eye if he felt it might threaten his power and standing - especially if it was from another neighborhood. Corleone would probably like a nice Nero d'Avola, a hearty red wine that's full-bodied - like the Don - and usually not blended, but allowed to stand on its own two feet, like a man. Corleone would love that stance, even though he preferred to have others dependent upon him. The grape actually comes from Avola, which is on the other side of Sicily from the Don's birthplace of Corleone. Is there, however, a winemaker in Avola who would deny The Godfather a bottle of his finest?